He is a Science Graduate from National College, Bangalore. He has secured first class first rank in LL.B (Bachelor of Laws) from the Bangalore University and is a Master of Laws (LL.M) in Administrative and Industrial Law and secured first rank therein also. Hailing from a family of lawyers, whose father and grand father were leading lawyers, he enrolled himself as an advocate in the year 1973 and has more than 45 years of experience in the profession. 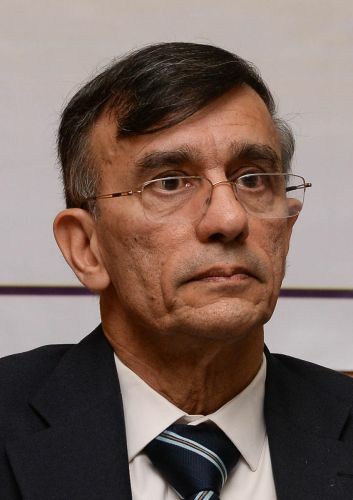 He has specialised in Corporate Laws, Mergers and Acquisitions, Foreign Collaborations and Joint Ventures, Monopolies and Restrictive Trade Practices Act, Foreign Exchange Regulation Act, Trade Marks, Patent and Copy Right Laws, Banking Laws, Property Matters and has a thorough knowledge of practically all branches of Indian Laws including Constitutional Remedies. He has dealt with litigations in practically every branch of law. He has participated in many International Legal Seminars and Conferences held in Hong Kong, U.S.A and New Zealand. He has handled arbitration cases in India and abroad. He has also authored many papers and articles on corporate and other laws. He is the recipient of several awards for outstanding service, achievement and contribution. He is connected with a few social service organisations which cater to the need of the aged, orphans etc.